Build your dream chair from the ground up with the Tori Customizable Chair. 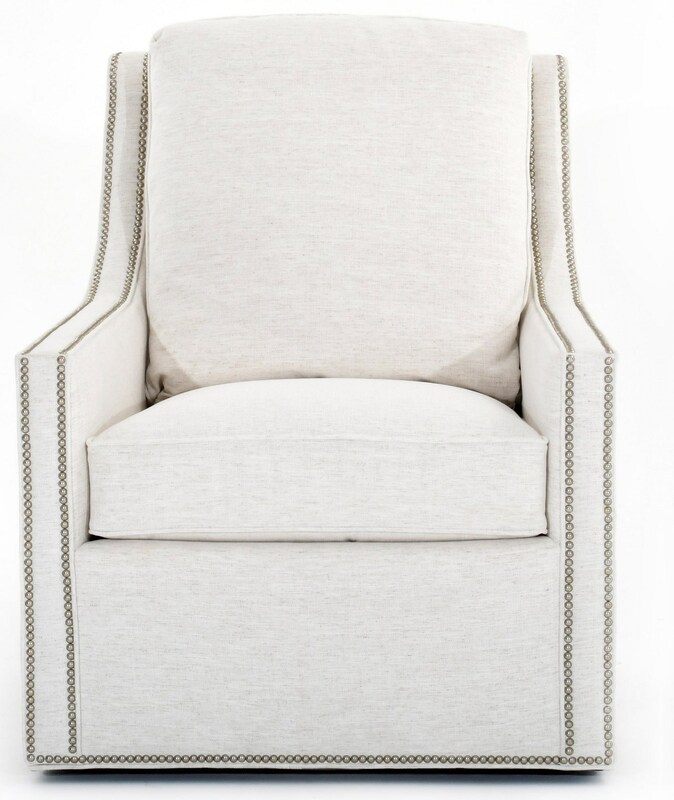 Tori is available as a swivel or stationary chair, and is perfectly sized to be a fashionable living room accent. The Tori Customizable Swivel Chair by Century at Baer's Furniture in the Ft. Lauderdale, Ft. Myers, Orlando, Naples, Miami, Florida area. Product availability may vary. Contact us for the most current availability on this product. Fabric Options Hundreds of designer fabrics and performance fabrics available for special order. Arm Choose from four arm styles for special order - Straight track arms, pleated track arms, cut back track arms, and flared track arms. Leg or Skirt Choose from five base styles to special order: Waterfall skirt, kick pleat skirt, square block leg, tapered leg, and upholstered base. Wood & Finish Exposed wood legs available in multiple finish colors for special order. Additional colors of nailheads also available. Seat Support Sinuous wire springs come standard on this model. Eight-way hand tied coils available for optional upcharge. Padding & Ergonomics An Elegance Plush seat construction and fiber-filled back come standard on this model. Additional choices of cushion comfort are available for special order.